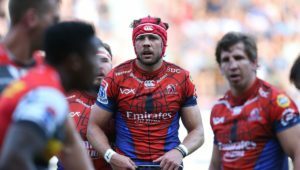 This weekend’s Vodacom Super Rugby teams as they are announced. Chiefs – 15 Jack Debreczeni, 14 Sean Wainui, 13 Alex Nankivell, 12 Anton Lienert-Brown, 11 Ataata Moeakiola, 10 Marty McKenzie, 9 Brad Weber (c), 8 Taleni Seu, 7 Lachlan Boshier, 6 Luke Jacobson, 5 Mitchell Brown, 4 Tyler Ardron, 3 Nepo Laulala, 2 Liam Polwart, 1 Angus Ta’avao. Subs: 16 Samisoni Taukei’aho, 17 Atu Moli, 18 Sosefo Kautai, 19 Jesse Parete, 20 Pita Gus Sowakula, 21 Jonathan Taumateine, 22 Tumua Manu, 23 Shaun Stevenson. 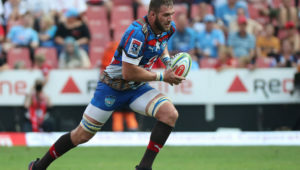 Lions – 15 Andries Coetzee, 14 Sylvian Mahuza, 13 Lionel Mapoe, 12 Franco Naude, 11 Aphiwe Dyanti, 10 Gianni Lombard, 9 Ross Cronjé, 8 Warren Whiteley (c), 7 Cyle Brink, 6 Kwagga Smith, 5 Marvin Orie, 4 Stephan Lewies, 3 Carlu Sadie, 2 Robbie Coetzee, 1 Sti Sithole. Subs: 16 Malcolm Marx, 17 Frans Van Wyk, 18 Johannes Jonker, 19 Wilhelm van der Sluys, 20 Marnus Schoeman, 21 Nic Groom, 22 Elton Jantjies, 23 Ruan Combrinck. Sunwolves – 15 Ryohei Yamanaka, 14 Gerhard van den Heever, 13 Josh Timu, 12 Rahboni Warren-Vosayaco, 11 Semisi Masirewa, 10 Hayden Parker, 9 Jamie Booth, 8 Hendrik Tui, 7 Dan Pryor (c), 6 Ben Gunter, 5 Luke Thompson, 4 Mark Abbott, 3 Hiroshi Yamashita, 2 Nathan Vella, 1 Pauliasi Manu. Subs: 16 Atsushi Sakata, 17 Masataka Mikami, 18 Takuma Asahara, 19 Tom Rowe, 20 Shuhei Matsuhashi, 21 Fumiaki Tanaka, 22 Jason Emery, 23 Jamie Henry. 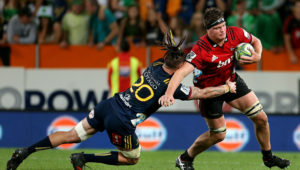 Hurricanes – 15 Chase Tiatia, 14 Wes Goosen, 13 Matt Proctor, 12 Ngani Laumape, 11 Ben Lam, 10 Fletcher Smith, 9 TJ Perenara (c), 8 Reed Prinsep, 7 Du’Plessis Kirifi, 6 Vaea Fifita, 5 Liam Mitchell, 4 James Blackwell, 3 Ben May, 2 Ricky Riccitelli, 1 Fraser Armstrong. Subs: 16 Asafo Aumua, 17 Xavier Numia, 18 Jeff To’omaga-Allen, 19 Isaia Walker-Leawere, 20 Sam Henwood, 21 Richard Judd, 22 James Marshall, 23 Billy Proctor. 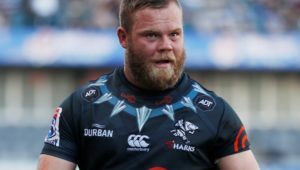 Sharks – 15 Curwin Bosch, 14 Sbu Nkosi, 13 Kobus van Wyk, 12 Andre Esterhuizen, 11 Lwazi Mvovo, 10 Robert du Preez, 9 Louis Schreuder (c), 8 Daniel du Preez, 7 Jacques Vermeulen, 6 Philip van der Walt, 5 Hyron Andrews, 4 Ruben van Heerden, 3 Coenie Oosthuizen, 2 Kerron van Vuuren, 1 Beast Mtawarira. Subs: 16 Fez Mbatha, 17 Juan Schoeman, 18 Thomas du Toit, 19 Tyler Paul, 20 Jean-Luc du Preez, 21 Cameron Wright, 22 Marius Louw, 23 Aphelele Fassi. Reds – 15 Hamish Stewart, 14 Sefa Naivalu , 13 Chris Feauai-Sautia, 12 Samu Kerevi (c), 11 Jack Hardy, 10 Bryce Hegarty, 9 Tate McDermott, 8 Scott Higginbotham, 7 Liam Wright, 6 Angus Scott-Young, 5 Lukhan Salakaia-Loto, 4 Izack Rodda, 3 Taniela Tupou, 2 Alex Mafi, 1 Harry Hoopert . Subs: 16 Brandon Paenga-Amosa, 17 JP Smith, 18 Ruan Smith, 19 Harry Hockings, 20 Adam Korczyk, 21 Moses Sorovi, 22 Duncan Paia’aua, 23 Jock Campbell. Highlanders – 15 Ben Smith (cc), 14 Matt Faddes, 13 Sio Tomkinson, 12 Teihorangi Walden, 11 Tevita Li, 10 Josh Ioane, 9 Kayne Hammington, 8 Elliot Dixon, 7 James Lentjes, 6 Shannon Frizell, 5 Tom Franklin, 4 Jackson Hemopo, 3 Tyrel Lomax, 2 Liam Coltman, 1 Daniel Lienert-Brown. Subs: 16 Ash Dixon, 17 Ayden Johnstone, 18 Siate Tokolahi, 19 Josh Dickson, 20 Luke Whitelock (cc), 21 Aaron Smith, 22 Bryn Gatland, 23 Thomas Umaga-Jensen. Blues – 15 Melani Nanai, 14 Caleb Clarke, 13 TJ Faiane, 12 Ma’a Nonu, 11 Rieko Ioane, 10 Otere Black, 9 Jonathan Ruru, 8 Akira Ioane, 7 Dalton Papalii, 6 Tom Robinson, 5 Gerard Cowley-Tuioti, 4 Patrick Tuipulotu (c), 3 Sione Mafileo, 2 James Parsons, 1 Karl Tu’inukuafe. Subs: 16 Leni Apisa, 17 Alex Hodgman, 18 Ofa Tu’ungafasi, 19 Josh Goodhue, 20 Jed Brown, 21 Sam Nock, 22 Harry Plummer, 23 Matt Duffie. Waratahs – 15 Kurtley Beale, 14 Cam Clark, 13 Adam Ashley-Cooper, 12 Karmichael Hunt, 11 Alex Newsome, 10 Bernard Foley, 9 Jake Gordon, 8 Michael Wells, 7 Michael Hooper (c), 6 Jack Dempsey, 5 Rob Simmons, 4 Jed Holloway, 3 Sekope Kepu, 2 Damien Fitzpatrick, 1 Harry Johnson-Holmes. Subs: 16 Andrew Tuala, 17 Rory O’Connor, 18 Chris Talakai, 19 Tom Staniforth, 20 Will Miller, 21 Nick Phipps, 22 Lalakai Foketi, 23 Curtis Rona. Rebels – 15 Reece Hodge, 14 Jack Maddocks, 13 Tom English (c), 12 Billy Meakes, 11 Marika Koroibete, 10 Quade Cooper, 9 Will Genia, 8 Isi Naisarani, 7 Richard Hardwick, 6 Luke Jones, 5 Adam Coleman, 4 Matt Philip, 3 Jermaine Ainsley, 2 Anaru Rangi, 1 Matt Gibbon. Subs: 16 Hugh Roach, 17 Tetera Faulkner, 18 Sam Talakai, 19 Ross Haylett-Petty, 20 Rob Leota, 21 Michael Ruru, 22 Campbell Magnay, 23 Sione Tuipulotu. 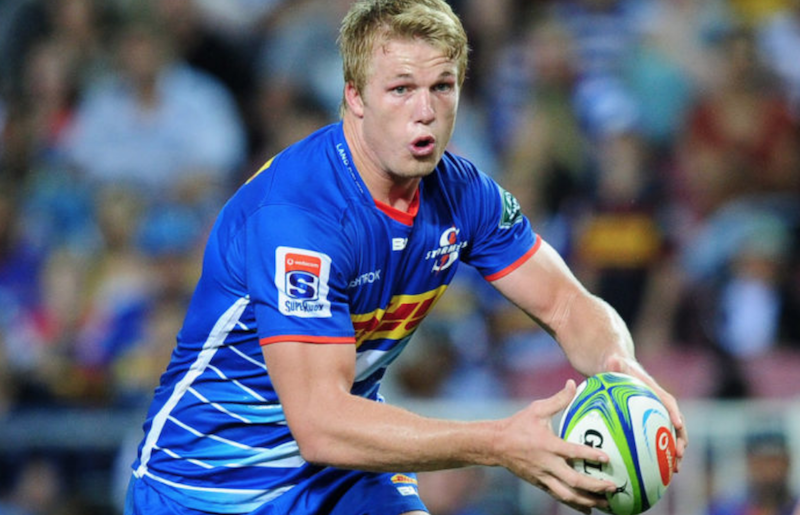 Stormers –15 Damian Willemse, 14 Sergeal Petersen, 13 Ruhan Nel, 12 Dan Kriel, 11 Dillyn Leyds, 10 Josh Stander, 9 Herschel Jantjies, 8 Kobus van Dyk, 7 Pieter-Steph du Toit, 6 Ernst van Rhyn, 5 Cobus Wiese, 4 Salmaan Moerat, 3 Wilco Louw, 2 Bongi Mbonambi, 1 Steven Kitshoff (c). Subs: 16 Scarra Ntubeni, 17 Corné Fourie, 18 Neethling Fouché, 19 Johan du Toit, 20 Siya Kolisi, 21 Justin Phillips, 22 JJ Engelbrecht, 23 Seabelo Senatla. Brumbies – 15 Tom Banks, 14 Henry Speight, 13 Tevita Kuridrani, 12 Tom Wright, 11 Toni Pulu, 10 Christian Lealiifano (c), 9 Joe Powell, 8 Pete Samu, 7 Jahrome Brown, 6 Tom Cusack, 5 Sam Carter, 4 Rory Arnold, 3 Allan Alaalatoa, 2 Folau Fainga’a, 1 Scott Sio. Subs: 16 Josh Mann-Rea, 17 James Slipper, 18 Leslie Leuluaialii-Makin, 19 Darcy Swain, 20 Murray Douglas, 21 Matt Lucas, 22 Wharenui Hawera, 23 Andy Muirhead.